Aluminium bi-fold doors will add a luxurious entrance to your home in Rochester, Maidstone, Kent, Chatham, Sittingbourne, Lenham and Ashford. These sliding doors are simply stunning, creating a breath-taking opening to your outside area as well as providing you with an enriched experience of your living space. Contact us for more information on our aluminium bi-fold doors in Kent. Aluminium bi-folding doors add simply stunning style to your Kent home. They create a spectacular entrance to your outdoor area that will delight you all year round. On warm, sunny days, you can open your sliding doors to their full extent. The clever fold configurations mean that they take up minimal space once opened. 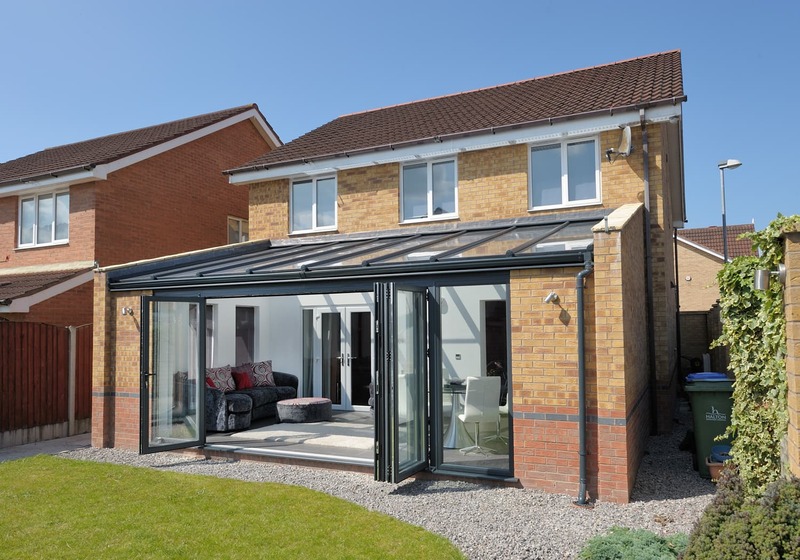 When it’s cold outside and you want to benefit from your garden from the warmth of your home, our fantastic aluminium bi-fold doors create a supreme viewing area. The floor to ceiling and wall to wall glass is virtually uninterrupted by the sleek, slimline profile giving you an extensive outlook. 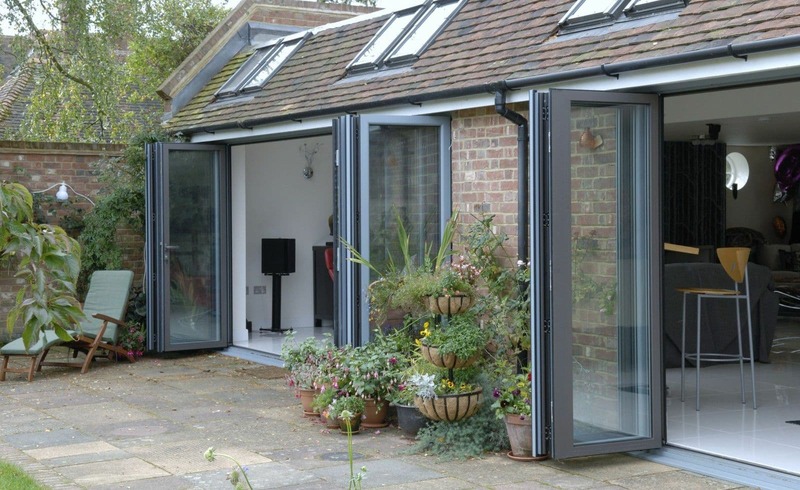 One of the major benefits of aluminium bi-fold doors is the tailored design. The aluminium profile can be coated in one of 250 RAL colours, creating a sliding door that complements your home. You can choose a colour that ensures your bi-fold door blends in with your home, creating a sophisticated and stylish finish to your home. If your tastes are more bold and bright, your aluminium sliding door can be a stand-out feature; a focal point to amaze your guests and neighbours. Whatever colour you choose, we are sure to have the right one that reflects your style and suits your property. 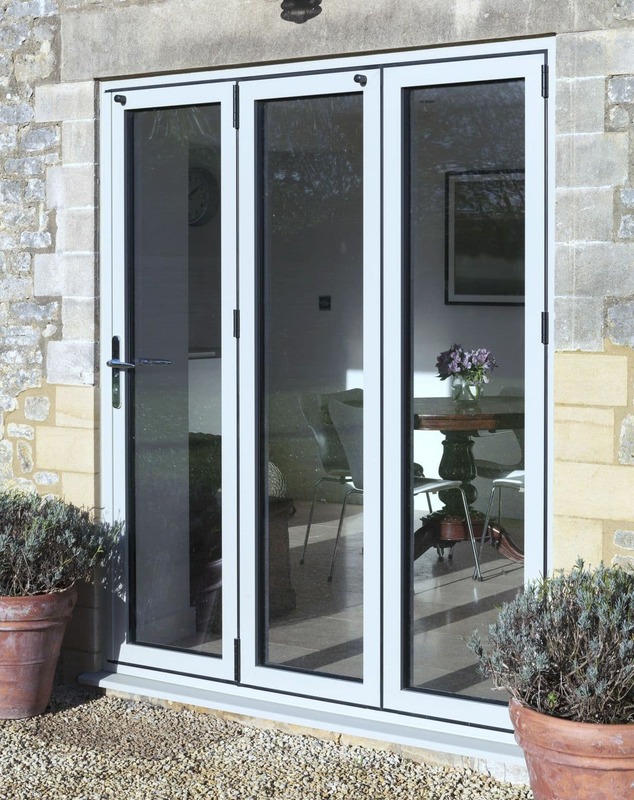 Aluminium bi-fold doors offer outstanding strength due to the inherent toughness of aluminium itself. When combined with our incredible multipoint locking systems, these doors become almost impossible to break into. 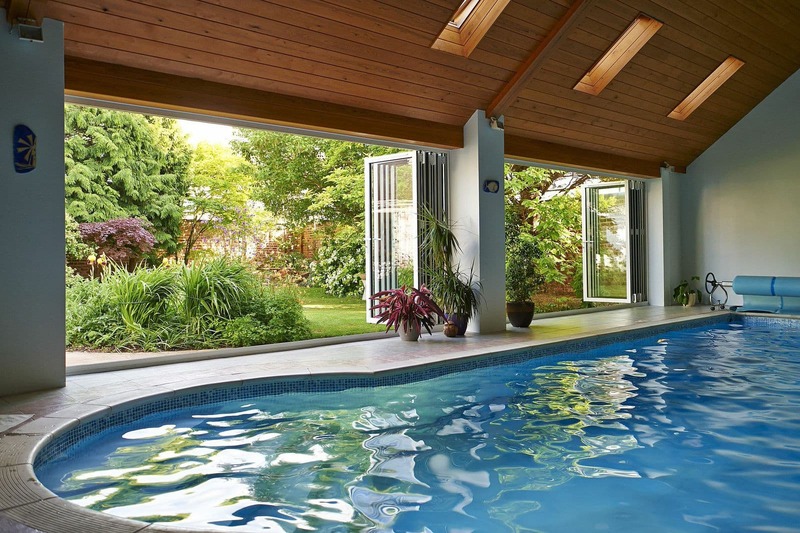 Your home will be thoroughly protected by our fabulous aluminium bi-folding doors. These double glazed doors simply offer completely unparalleled strength and security to Kent homeowners. 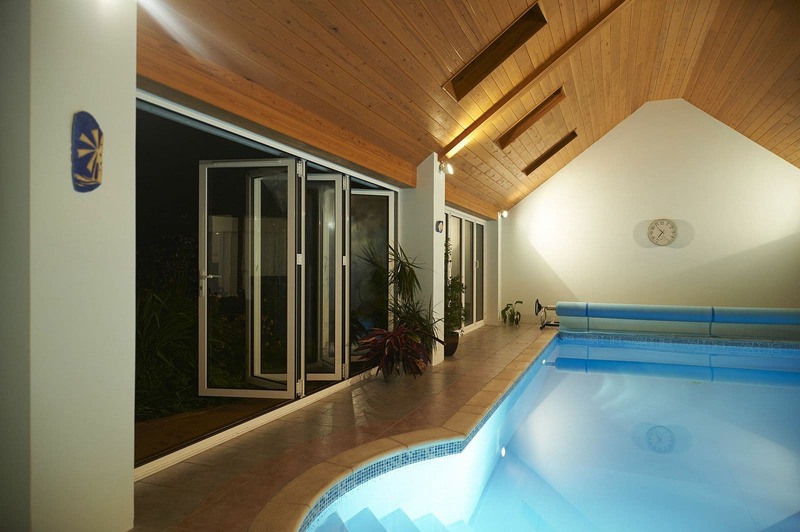 Our aluminium sliding doors are fantastically low maintenance. Little is required to keep them in pristine condition and performing to the highest standards. These robust aluminium double glazed doors are designed to never warp, rot or fade, giving you many years of quality operation. All that is required is an occasional clean to ensure no dirt or grime gets into the smooth gliding system. It really is that easy! First Glaze offer competitive and cost effective aluminium bi-folding doors quotes to our customers in Rochester, Maidstone, Kent, Chatham, Sittingbourne, Lenham and Ashford. You can get a tailored aluminium sliding doors price from our expert team. 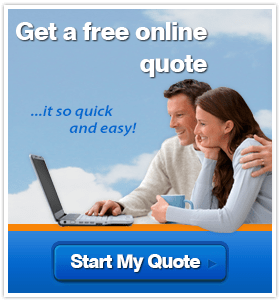 Simply start your quote and we will be able to guide you through your options and provide you with a personalised, online aluminium bi-fold doors quote free of charge! For more information, do get in touch with us – our helpful team are always happy to help!